How to read flash of Nokia 130? 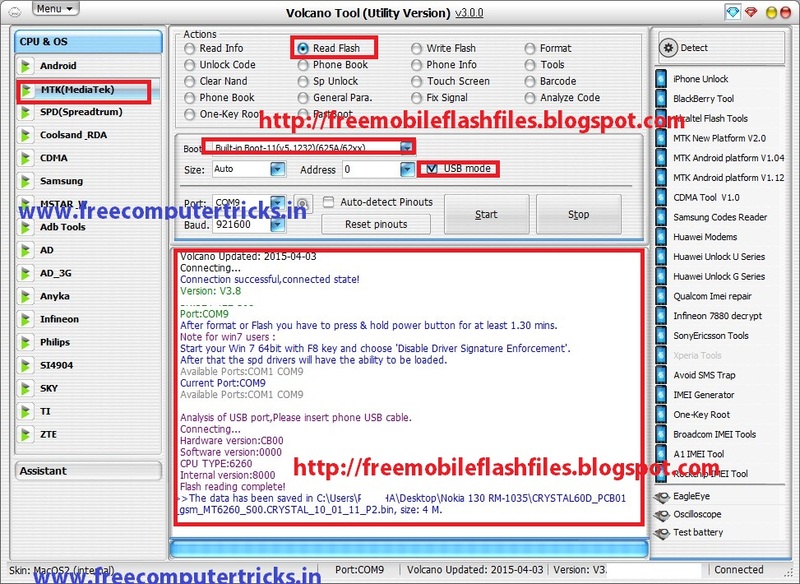 the below is the way to flash the Nokia 130 using Volcano Tool v3.0.0. 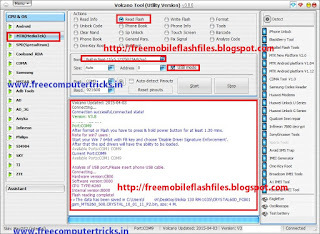 Nokia 130 only read flash with Volcano tool but not format, here is the process to read flash of Nokia 130 with volcano box. I tried to format the phone using this tool but not success, if any body format the Nokia 130 RM-1035 with Volcano tool then post the success through comments. The data has been saved in C:\Users\Desktop\Nokia 130 RM-1035\CRYSTAL60D_PCB01_gsm_MT6260_S00.CRYSTAL_10_01_11_P2.bin, size: 4 M.